The NCAA put out a press release Thursday announcing it had adopted a new a sexual violence policy, complete with a press release and a fluffy writeup by the Associated Press. But the NCAA saying it’s news doesn’t make it news. The policy, as described by its own press release, is meaningless. 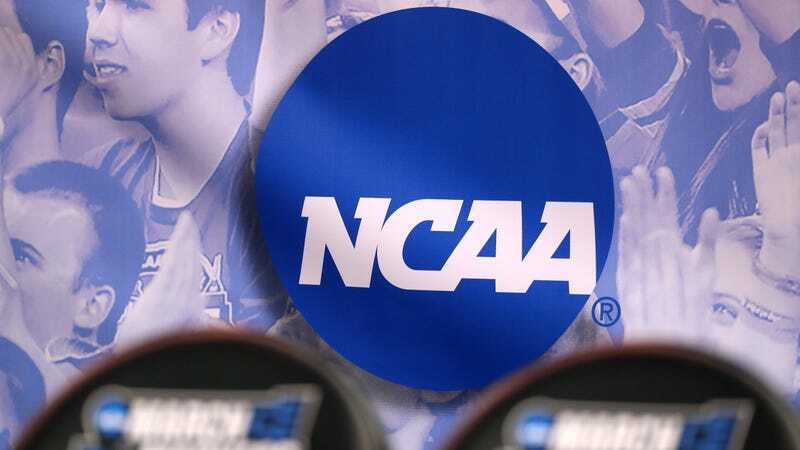 All it does is reiterate things the federal government already requires the NCAA to do, as well as repeating promises it made in a resolution passed more than three years ago. They already were required to do that. An update passed a few years ago to the Clery Act, a federal law covering campus safety, specifically required all institutions to provide incoming students and new employees with“primary prevention and awareness programs” having to do with dating violence, domestic violence, and sexual assault. Institutions were already required to provide “ongoing prevention and awareness campaigns for students and employees.” This law—a real law, not a meaningless NCAA press release—already exists. That’s just repeating the first part of the press release. They were already required to do that too. At no point did the federal government exempt athletics from following federal rules and guidelines already in place. In fact, the 2011 guidance letter from the U.S. Department of Education to universities specifically said athletes must not get special treatment, saying “the school must follow its standard procedures for resolving sexual violence complaints” involving athletes. This is the final piece from the press release. The press release doesn’t mention punishment. Barrett Sallee at CBS Sports reported today that schools that don’t go along with this “will be known to the public.” But schools under investigation for possibly violating Title IX already are known the public, and that doesn’t seem to be hurting anyone’s attendance at football games or number of applications submitted. The NCAA promised to do all this three years ago. (“This,” again, being “compliance with laws and rules already in place.”) If it meant nothing then, it means nothing now. Why Was A Private Corporation Paying For Hugh Freeze&apos;s Cell Phone At Ole Miss?